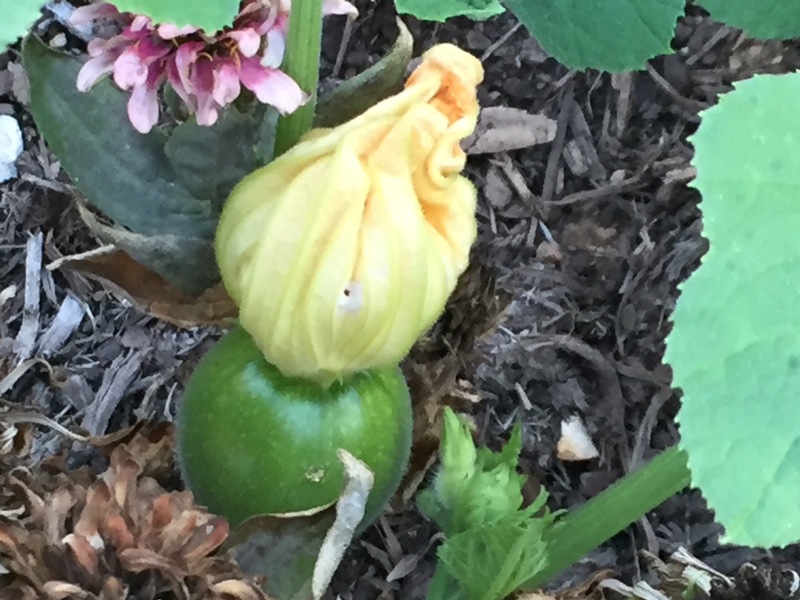 Each day, it seems, another little pumpkin seems to curl up and die on the vine. 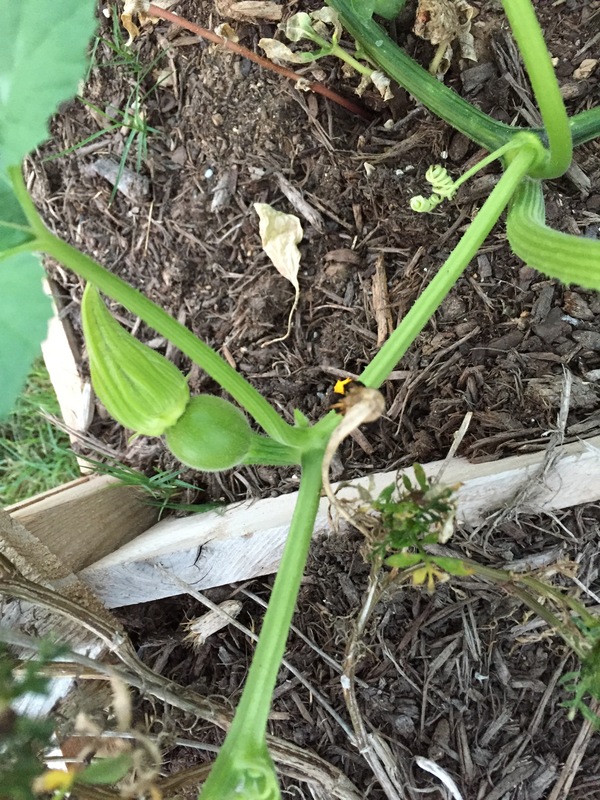 I’m afraid the squash vine borer that attacked the plant in mid-September is to blame. I can’t think of any other reason why so many tiny pumpkins would form, only to wither on the vine before reaching their potential. 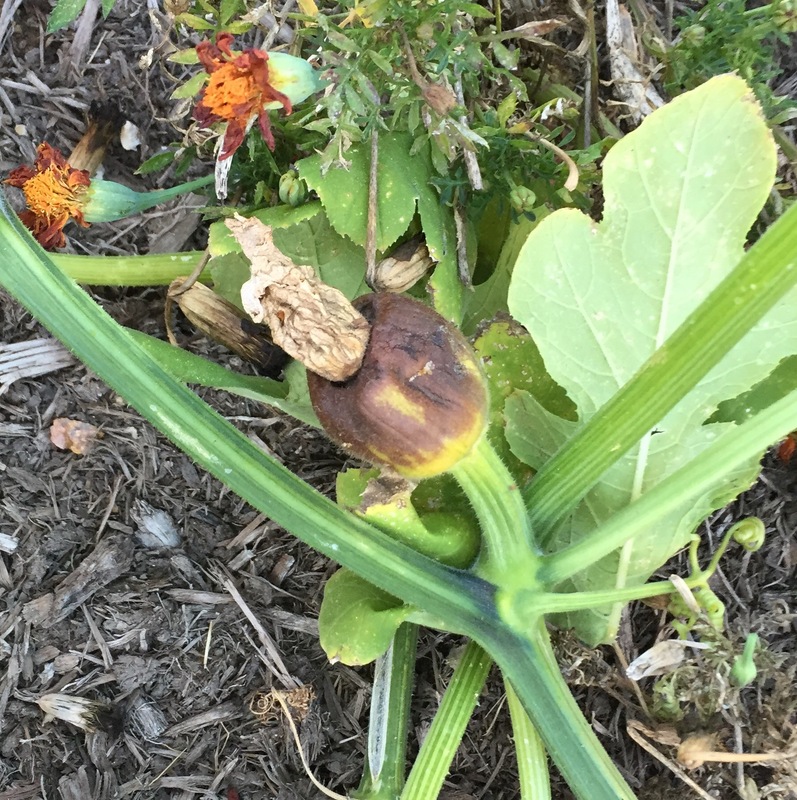 More pumpkins keep forming, so I don’t want to pull the plant out in hopes that one or two will be able to beat what is causing fatal problems for others. 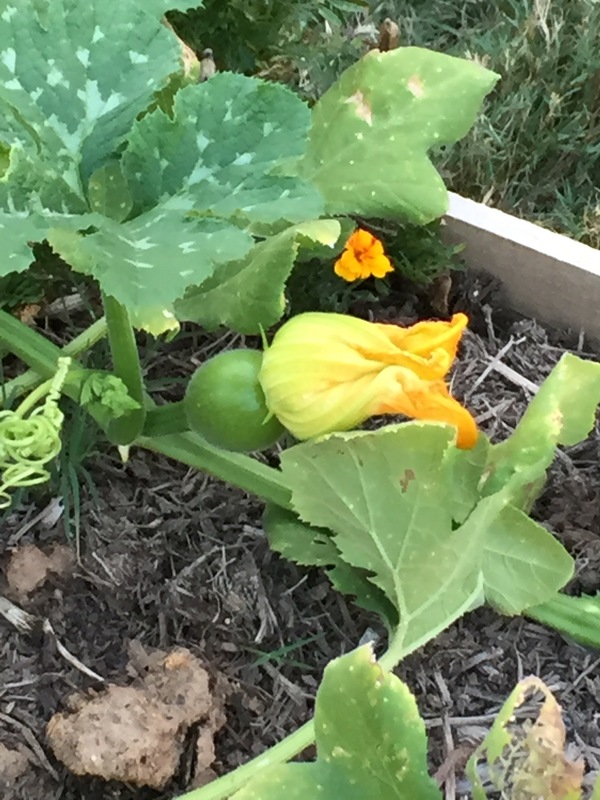 And a few pumpkins are further along, giving me hopes they might make it. 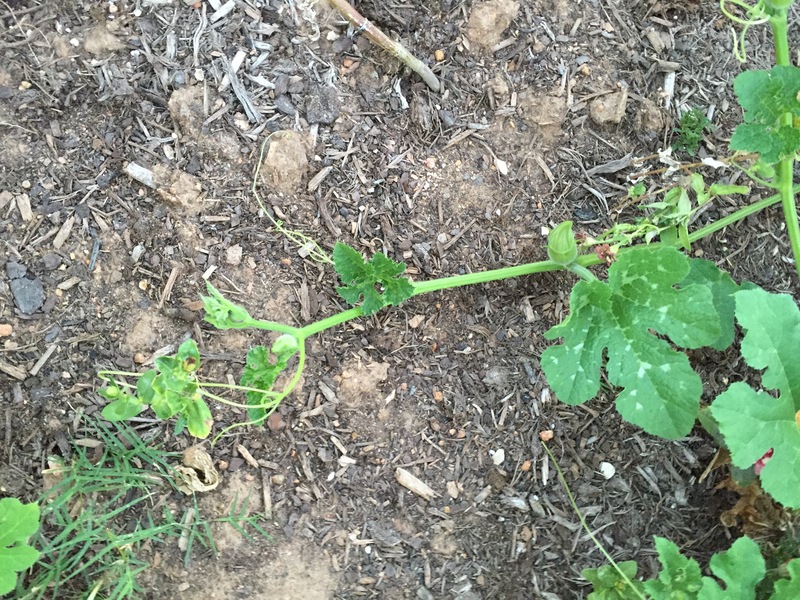 At the same time, if there’s a possibility that whatever is harming the one pumpkin plant could harm the other (which isn’t as far along but has shown no signs of the evil vine borer) there might be a benefit to pulling it up. Wish I knew what to do. 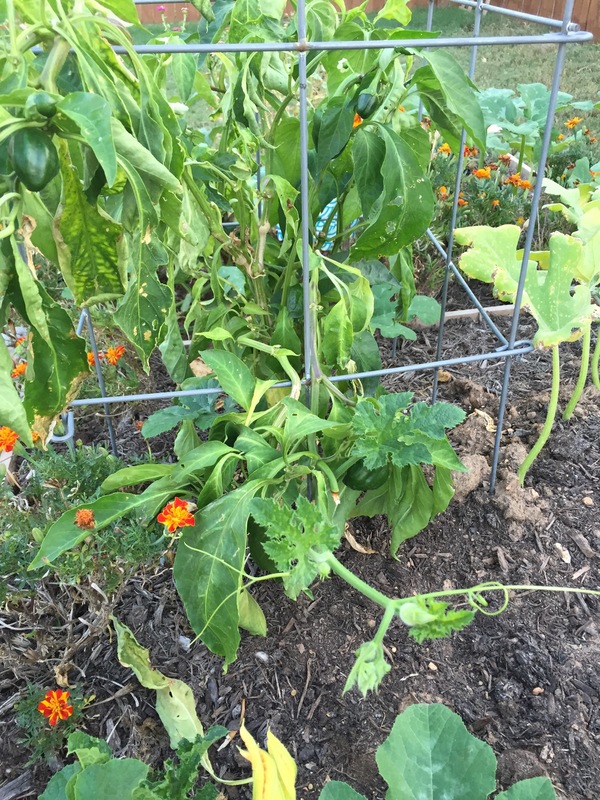 The bigger plant has now grown through the pepper plant, which as you can see, continues to produce peppers.